When Katy Perry crooned about living a ‘teenage dream,’ this surely wasn’t what she had in mind. 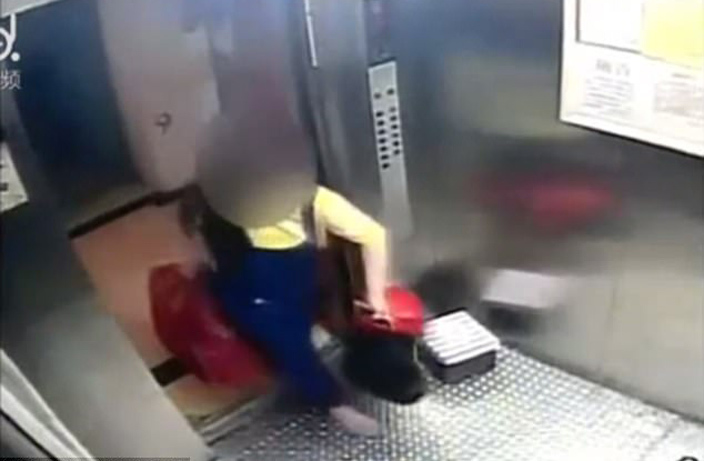 On April 1, a 15-year-old Shenzhen teen was captured on closed circuit television cameras depositing a box containing a newborn girl in the trash can of a residential apartment. The baby was then taken to a local hospital, where she weighed 5.84 pounds and was apparently healthy aside from a low temperature. The teen in question is known to live in the apartment complex where the baby was deposited. It is alleged the teen went about her normal daily business, attending to her duties at work as if nothing serious such as depositing a live human in the garbage had occured. According to reports compiled by local law enforcement, the baby will be sent to live with its grandparents in Heyuan, a prefecture-level city in Guangdong province situated just northwest of Guangzhou. The baby and teen will both escape relatively unscathed as authorities have declined to prosecute the teen due to her status as a juvenile. In late 2015, China abandoned the one-child policy in an attempt, among other things to help curb infanticide which traditionally had more adverse effects on female newborns. Whether or not incidents like these in Shenzhen will still occur or peter out as education among youth continues and as the two-child policy becomes more ensconced has yet to be seen. In total, three people died at Xiangmihu in Futian District, while eight workers died at two seperate sites in Luohu District. The 11 dead were construction workers in Luohu District and Futian District. The deliberate attack was carried out around 2.04am near Coco Park on Mingtian Lu. Join our team and help grow That's Shenzhen's online presence. The hospital, which opened on March 18, has stated that no less than 95 percent of their treatments will come under the TCM banner. The system will reduce printing costs and make payment, billing and reimbursement more convenient.